The color of these numbers is chocolate color. Made of cast iron material,easy to install on the wall and rust resistant to keep it a long life. New modern design, easy to read and recognize. Can be used as house, hotel number plate, door number or as numeric digit for other buildings. 1. Due to the light and screen differences, the color of item may be slightly different from the pictures. Please understand. Make sure you do not mind before you bid. The number fit for mailbox, house, car, hotel number, address sign and it is easy to read from a far distance. 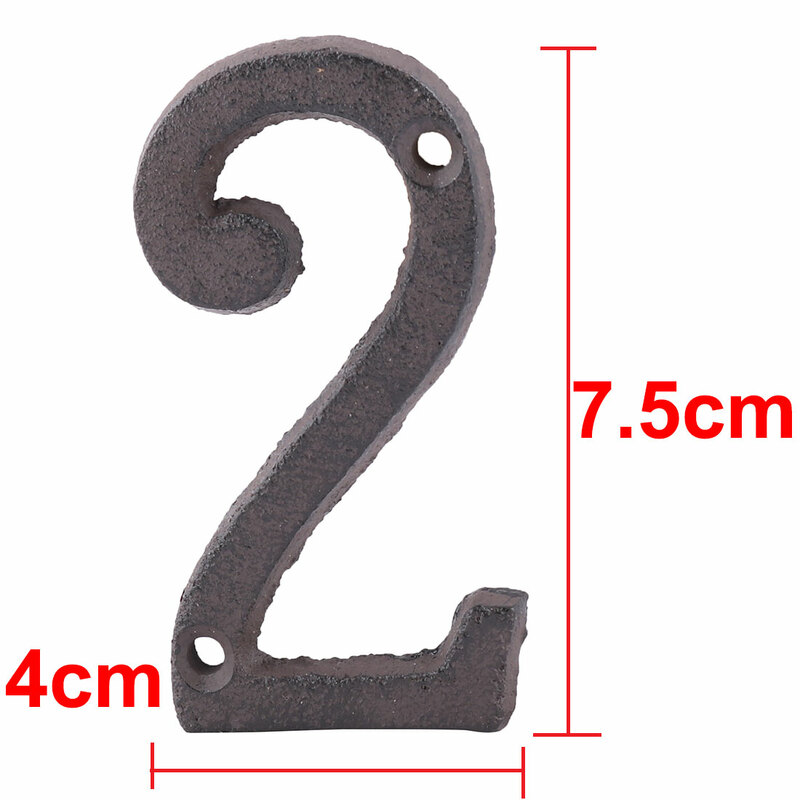 Each number comes with 2 screws, is easy to mounted on the door, mailbox, stucco, wood and more. The number can be combined with any shape you want to, a beautiful decor for your home. 100% high quality, brand new, never used.